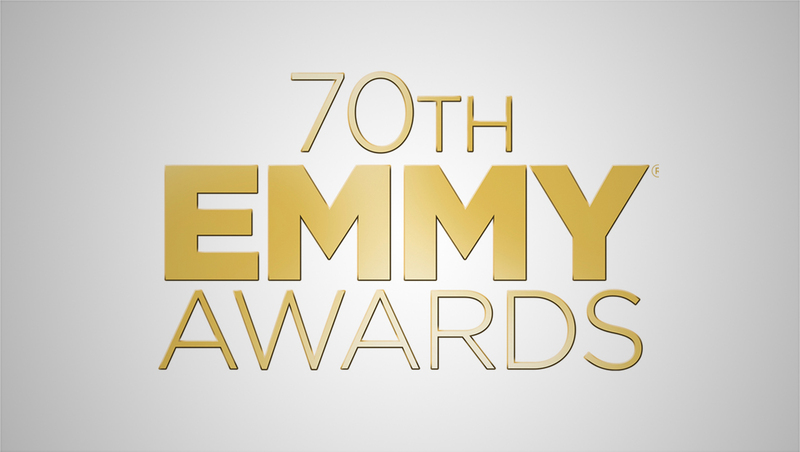 As the 70th Annual Emmy Awards kick off, here’s a quick look at the logo designs and key art for the broadcast. 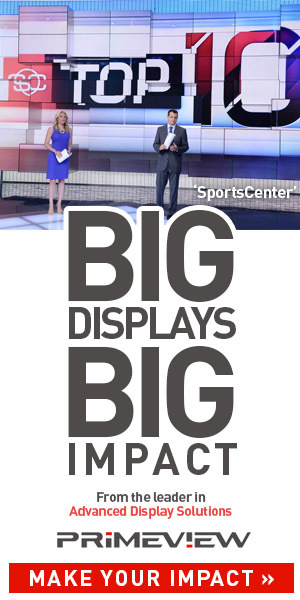 This version is used within the actual telecast. NBC’s key art, meanwhile, uses Gotham in two weights in gold with a subtle gradient. 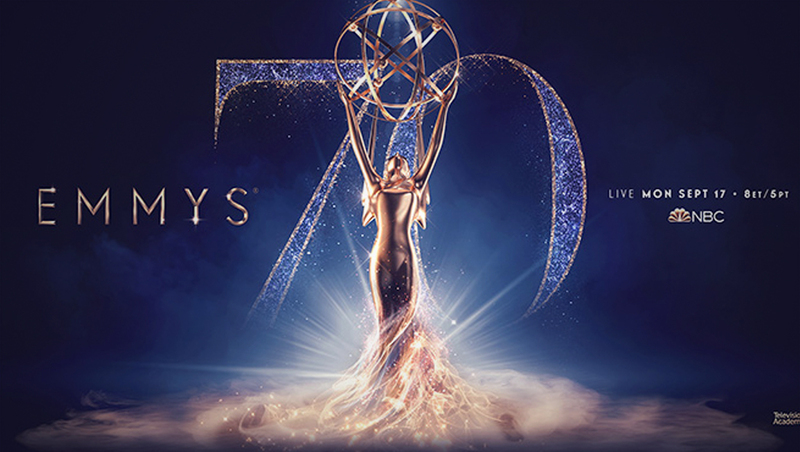 Another version of key art uses the broadcast typography set against a blue-violet background with a glittery serif “70” in the background and a dramatized version of the Emmy statuette in front of it.